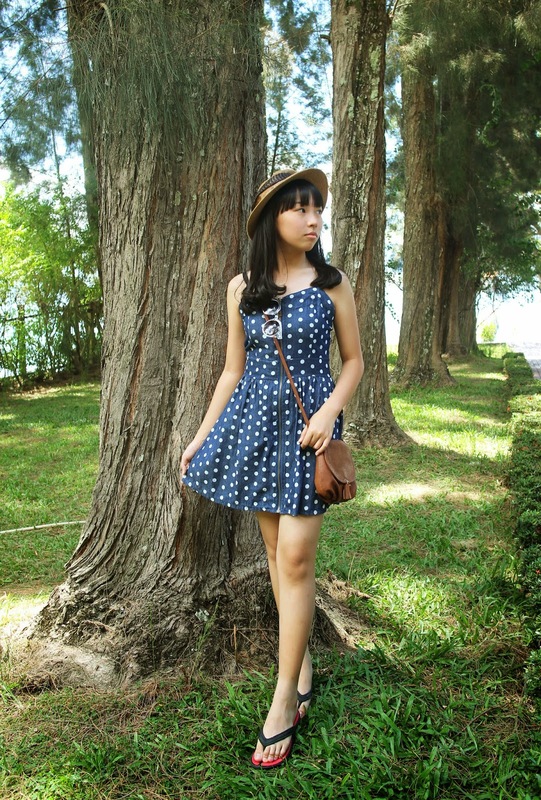 Short dress, sling bag, straw hats, a pair of sandals and you're ready for summer! The word "summer" seems very nice and warm to a lot of people, especially me. I always love the idea of summer eventhough i live in a tropical country which only has two seasons (rainy & sunny). Well, who doesn't love summer? School break, vacations, and doing anything you want to do on holidays are the best after all. 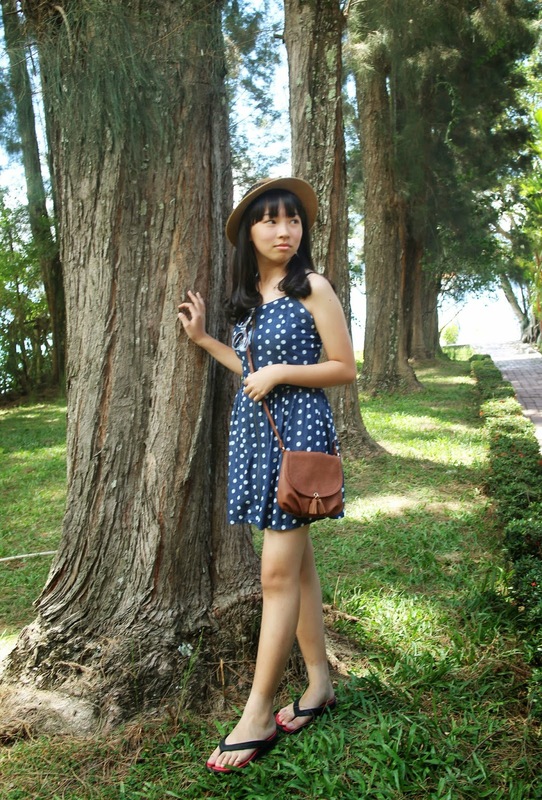 So this outfit post was taken at one of the hotel we stayed at Tuk Tuk, Samosir Island. The surroundings was a pleasant place to be visited since it reminds us back to the beautiful nature. And i think it suits my outfit very well, isn't it? Since i'm typing this short post in the midst of my busy days, i'm going to end it bcs a pile of my homework is still waiting to be finished. The next post will probably be the Tuk Tuk Photo Diary which will be posted very soon. Thankyou for spending your time here! love ur outfit !! U look so cute !! btw Mind to visit and follow each other ? You look gorgeous and so cute in this outfit! I love your outfit, you look gorgeous! The dress is so lovely! such a chic cute look! Hi, you have a very nice blog :) I love this post, you look beautiful. cute dress! I love the polka dots!